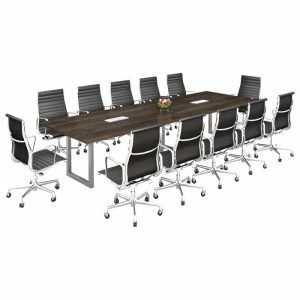 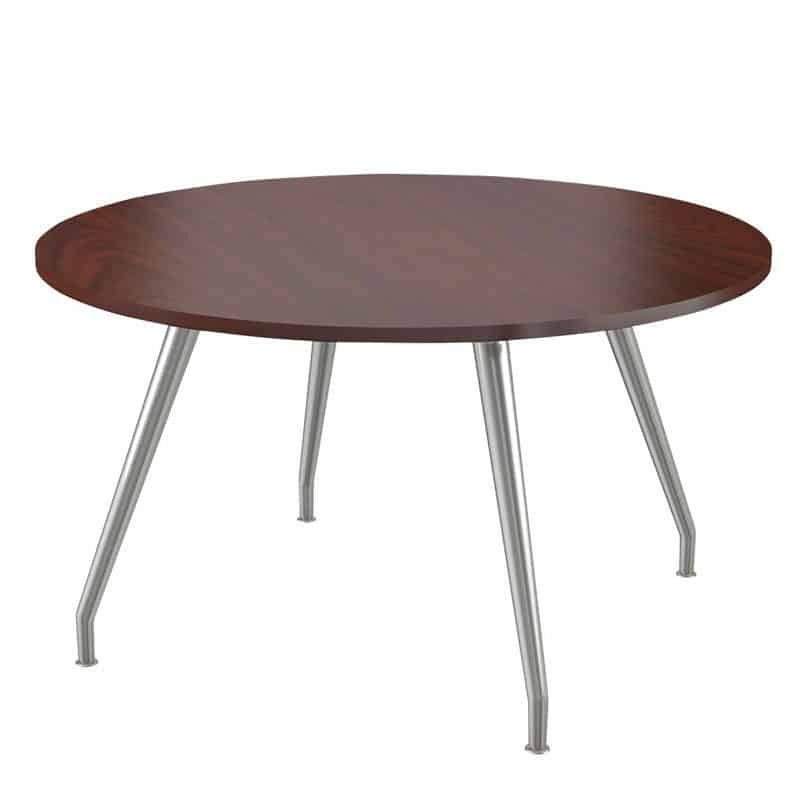 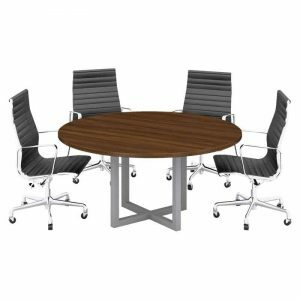 The conference table with curved steel legs is made in 13 different melamine colours. 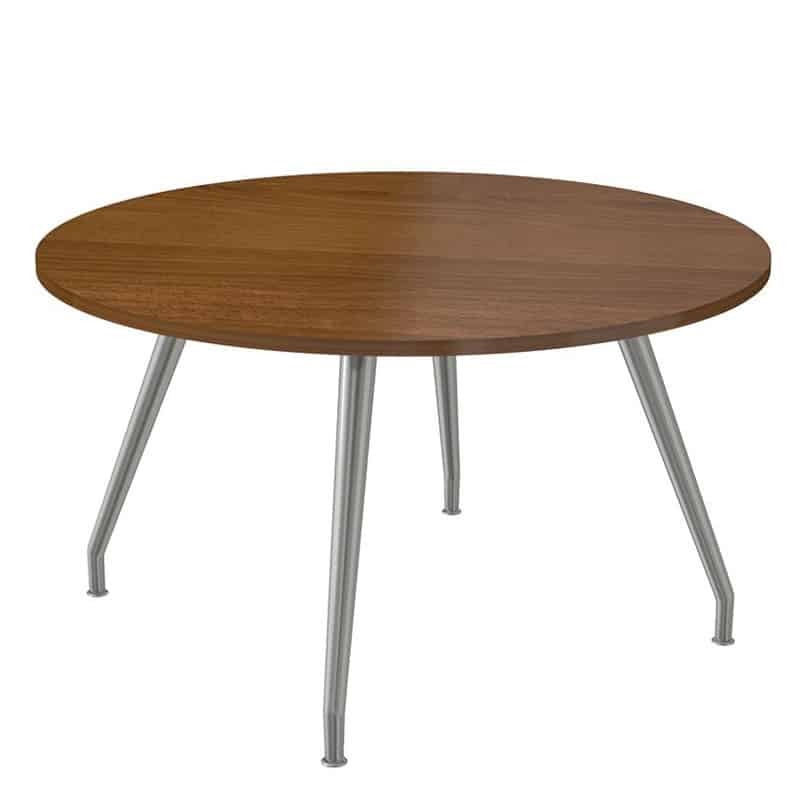 The steel legs are powder coated in silver and the tops can be in maple, oak, cherry, mahogany, smoked cedar, American walnut, Coimbra or white. 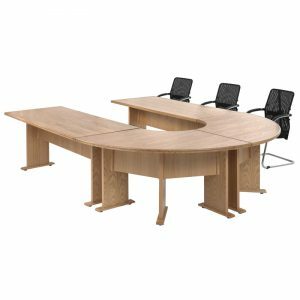 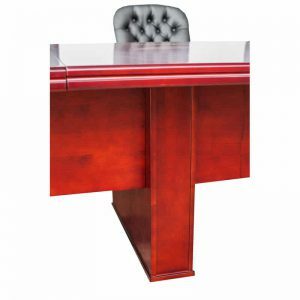 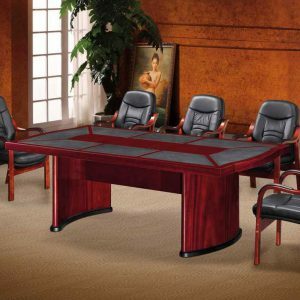 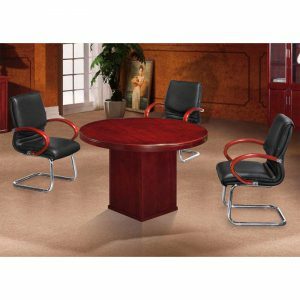 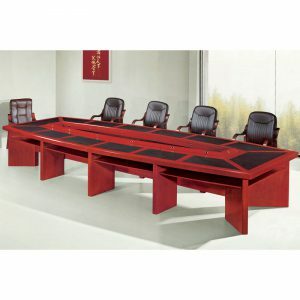 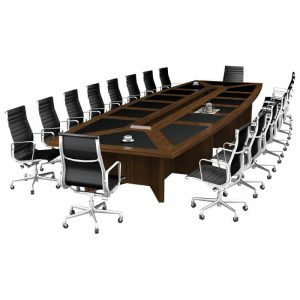 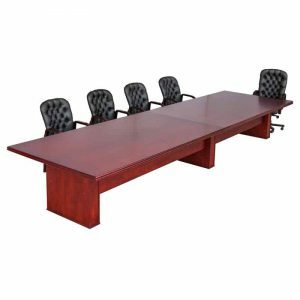 These conference tables carry a 5 year factory guarantee and is available within 3 weeks from date of order.